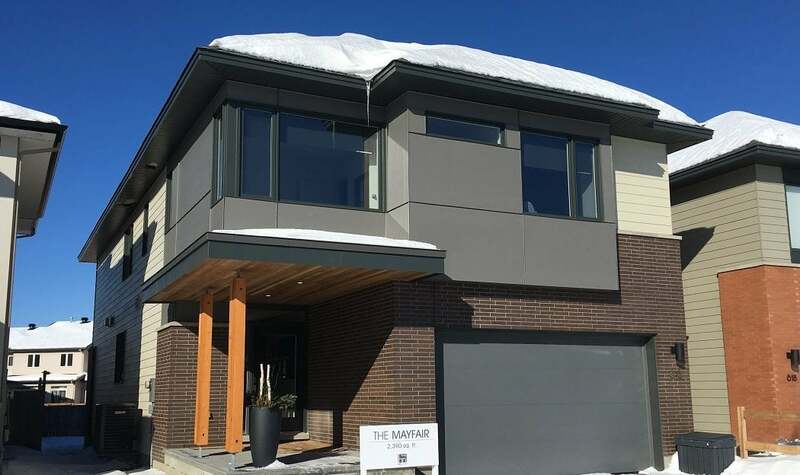 HN Homes’ Mayfair model abounds with upgrades at no extra cost. 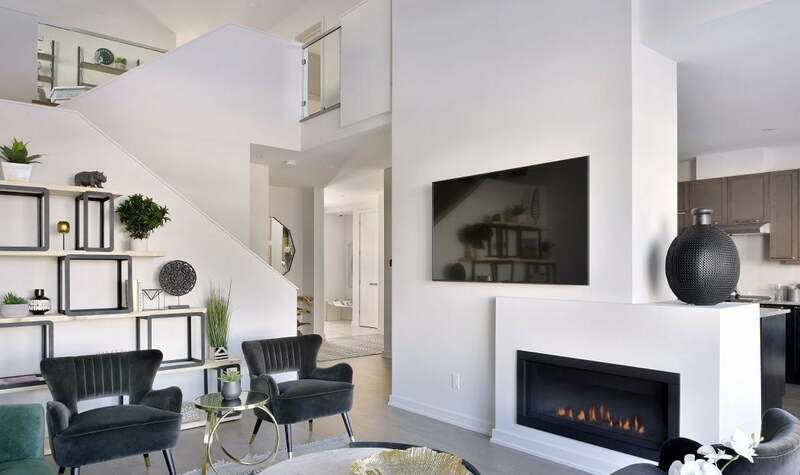 HN Homes has a simple goal with its Mayfair model home in Riverside South: to demonstrate how many fine features can be included without buyers having to pay for them as upgrades. In fact, the light-filled, contemporary-themed Mayfair, designed by Christopher Simmonds Architect, has just three upgrades in its entire 2,390 square feet: the stainless-steel appliances, a pendant light in the kitchen and a light over the dining room table. Those no-charge upgrades range from the luxurious — quartz or granite countertops in the kitchen and bathroom — to the pleasingly functional — a WiFi-enabled garage door opener, LED lighting and a ceiling-mounted WiFi hub. The front façade features brick, fibre-cement board, cedar accents and prominent second-storey windows, capturing the blend of contemporary and traditional design that underpins the Mayfair’s exterior. While the top-level windows are large and open to the street, the main entrance is tucked back inside a porch, clearly marking where public space ends and private space begins. Inside, large windows underscore Simmonds’ trademark visual connection between indoors and outdoors. The Mayfair is also notable for its easy internal flow. 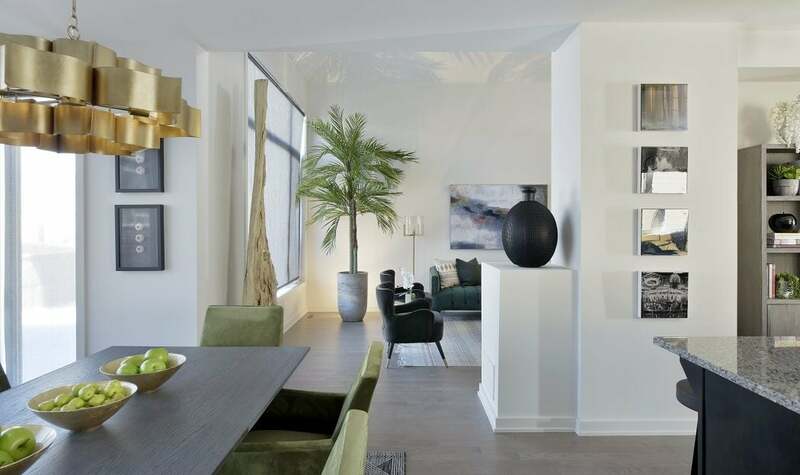 The living room and kitchen are separate (a nice break from the usual open-concept design) but connected, and the first and second floors are open to each other, enhancing the home’s airiness and sense of spaciousness. It’s clear how this home’s blend of private and communal spaces would appeal to families. Space is a carefully considered element in any Christopher Simmonds design. The Mayfair, where spaces are both aesthetically pleasing and highly functional, is no exception. 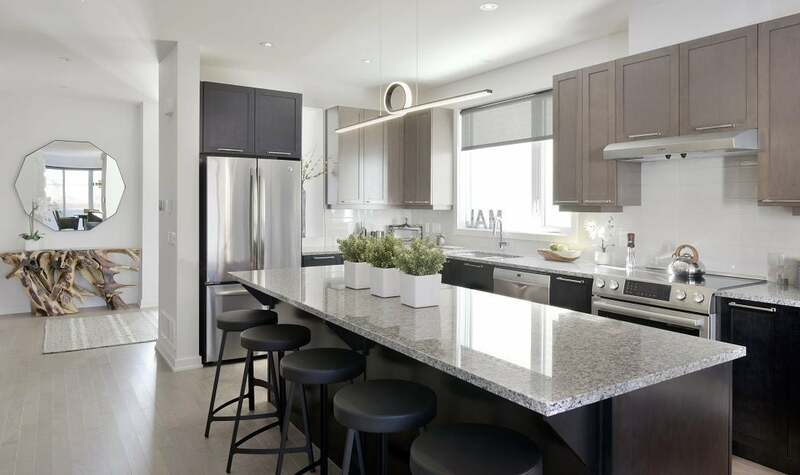 Daylight floods the kitchen, where sleek finishes like furniture-style cabinetry hardware add a modern accent while the oversized island with space for five to sit and chat lends a warmly sophisticated touch. Storage abounds thanks to 40-inch upper cabinets, which include valence lighting at no extra cost. Just visible to the right of the fridge is a cutaway with a decorative vase; the opening makes a delightful visual connection between the kitchen on one side and the home’s main entryway on the other. Architect Christopher Simmonds has created visual interest in the living room and other areas with unexpected surfaces and lines. The flow of the home, from the front door through the main living area and up to the second storey, is clearly seen here. Just visible in the upper left hand corner is the loft area; the glass panels add to the loft’s airy feel and give it a visual connection with the space below. The Mayfair’s dining area sits six comfortably, is conveniently adjacent to the kitchen and overlooks the backyard. 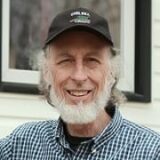 In the background is the living room with its own large transom window. The stained oak hardwood floors are a standard feature in the Mayfair model, and the light over the dining room table is one of only three upgrades in the model home. 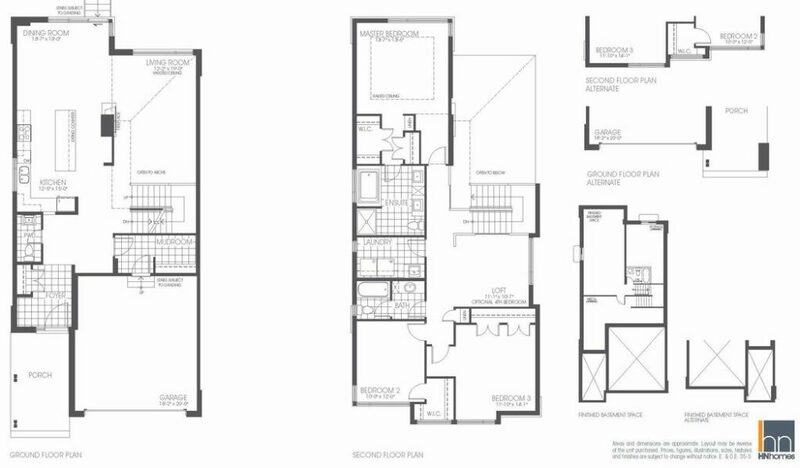 Attractive features like the easily accessed mudroom, the loft with its fourth bedroom option and the generous, self-contained master bedroom are clearly visible in the floor plan. The Mayfair is open Monday-Thursday: noon-7 p.m. and Friday-Sunday, noon-5 p.m. The home is at 616 Summerhill St. in Riverside South.